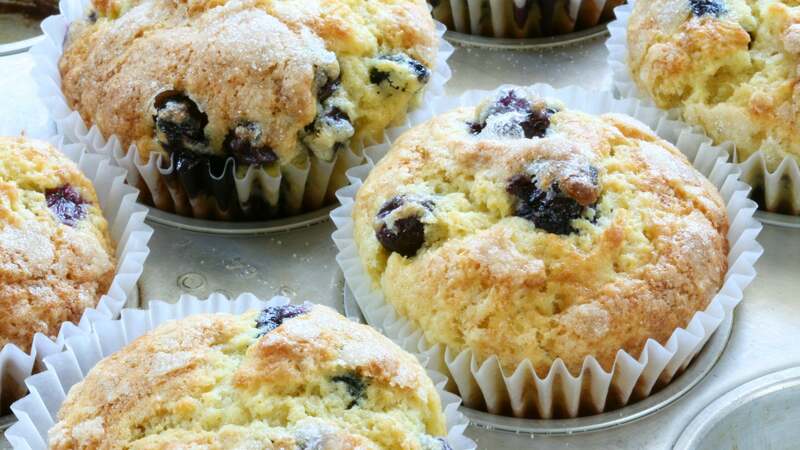 Blueberries are best straight from the bush, but a blueberry muffin fresh from the oven is nothing to sneeze at. However, blueberries can sometimes sink to the bottom of the soggy muffin, along with your dreams. The solution is simple. Just coat the blueberries with a bit of flour before plopping them in the batter. According to the good folks at The Kitchn, this will absorb some of the liquid released by the berries and keep them in place until everything is set. But if blueberries (or muffins) aren't your thing, don't worry: This is still applicable to your life, as it works with chocolate chips or any other bits you stir in, as well as with cakes, scones and quick breads. If you don't like muffins or chocolate chips or scones or cakes, then I cannot help you, and I fear that you are lost.